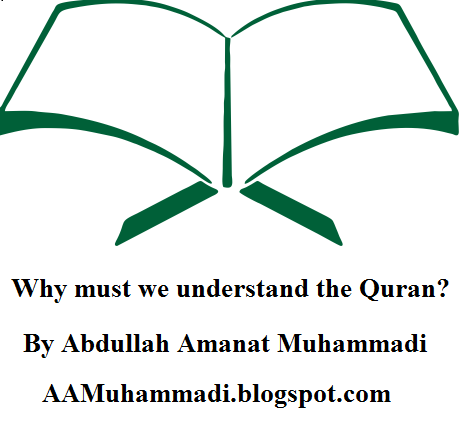 Home Unlabelled Why must we understand the Quran? There are numerous books in the world, and every book has various benefits, but Quran is the best Book in the world. The excellence of Allah’s words over all other expressions is like the excellence of Allah over His creation. The recitation of Quran is very important, but it is even more important to understand and follow it. We read various books in our life. We read every sentence carefully and if we do not understand anything we tend to read that again because we want to understand the real message of the writer. Even then if we do not understand the concept, we try again and again, by reading it multiple times. We, sometimes go even a step further by contacting some expert on the subject to comprehend the whole message of the book. On the other hand, when we read the Quran we read quickly and do not ponder. Knowing the message of Allah is not the consideration of a vast majority. If all of us will understand the message of Quraan and follow it, only then we will get the real success in this world and in the hereafter. Some of us read and listen Quran every day, while there are others who read Quran at least once a year, but the real lucky ones understand the message of Quran. A number of us spend considerable time in reciting the Quran, but we do not know the message of our Creator- Allah. We tend to make efforts to understand the instructions issued to us by Police department or messages of our politicians, but we do not try with the same zeal to understand the words of Allah Almighty, Who is our Creator and Lord and The real emperor of this universe. Allah says in the Holly Quran that indeed, We have sent it down for the reason that you might understand. I would like to clarify with an example that a student goes to school every day and take lectures and read the book but he does not understand anything. He takes lectures regularly and read the book, but he didn’t understand a sentence, can he pass the exams? Certainly, not. Similarly, we must understand the Quran for success in this world and in the hereafter. The Prophet (PBUH) said, "Verily, Allah elevates some people with this Qur'an and abases others." It is clear that lack of understanding of Quran is one of the biggest reasons for the decline of Muslims around the world. 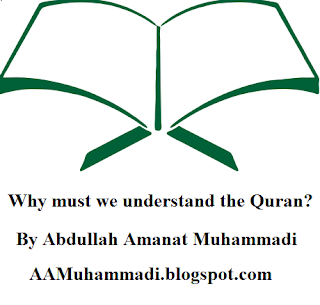 Therefore we must understand the Quran for success in this world and in the hereafter.